3 Reasons To Sell in Lafayette NOW! 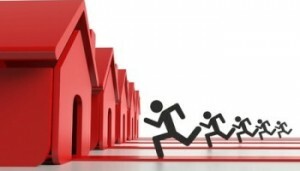 Potential sellers sitting on the fence: IT’S TIME TO MAKE A MOVE! We have folks ask us all the time, how is the housing market? Our response this year has been that the the housing market in Tippecanoe County is STRONG and it continues to remain strong! 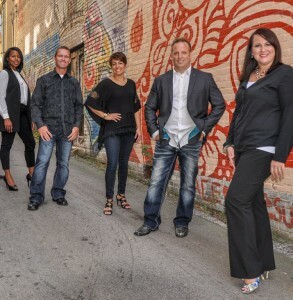 Here are the 3 reasons to sell your Lafayette Indiana home now…. The National Association of Realtor’s recently reported that the inventory of homes for sale is at a 5.1 month supply in December. That means it would take around 5 months for all available inventory to sell. A normal market is considered to have a 6 months supply of inventory to be considered balanced. We have seen and experienced in Tippecanoe County that a shortage of inventory tends to keep home prices strong and has resulted in multiple offers and bidding wars. Tight inventory is a main reason the ball is still in the sellers’ court. Home sale prices were up nearly 5% from this time last year also according to NAR! Anticipated rise in interest rates: While mortgage rates remain low, experts predict more buyers will enter the market in the coming months due to anticipated rising interest rates in the future. This could prompt buyers to get off the fence and start their house hunt sooner than later in order to take advantage of lower mortgage rates. From 1996 to 2006, the average interest rate for a 30-year fixed rate loan was approximately 6.3%. As of January 2016, it was staying just below 4%. That around a 37% difference in the cost of financing makes a huge difference in affordability and the ongoing cost of housing. Rising rental prices could motivate tenants to make the leap into home ownership. Rent prices have risen 15% nationwide in the past five years in 70 metro areas across the U.S. and income growth hasn’t kept up, according to NAR. Renting can be very expensive and can make it difficult to save for a down payment. When renter’s see an increase in rent, it may help their decision to buy a home. If you’re considering selling your home – now is the time!